Scientists Now Know: We're From Sagittarius Dwarf Galaxy! Readers may also be interested to read about Doomsday: The Mayan Prophecy. Back when the telescope was first invented, those who observed the movement of the planets postulated that the Earth was not the center of "God's creation" and were criticized, imprisoned and even put to death as heretics. The criticism was usually vague and simply stated that things were not that way because... everyone should know they it's just not that way... A paradigm is always difficult to change and seldom yields to a newer idea without much dialog and discussion. Viewzone understands that our readers are not idiots and can decide for themselves if certain theories or interpretations are worthy of consideration. A majority of the feedback we received was positive. As always, we will continue to report new ideas and let you use your own intellect, intuition and common sense. Thanks. 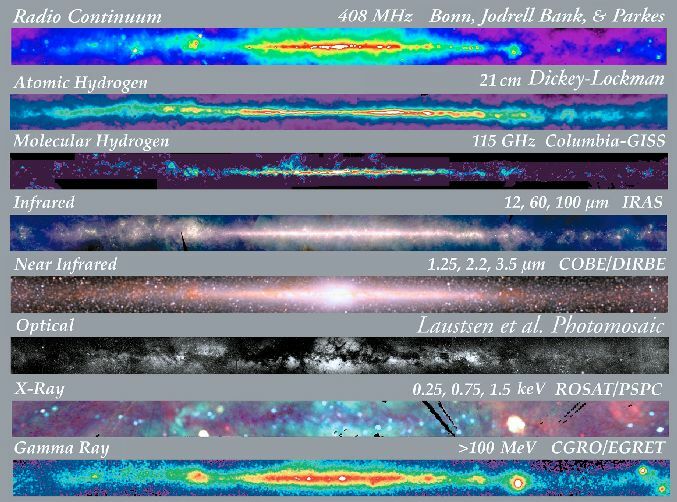 ScienceDaily (Feb. 26, 2010) — As many as one quarter of the star clusters in our Milky Way -- many more than previously thought -- are invaders from other galaxies, according to a new study. The report also suggests there may be as many as six dwarf galaxies yet to be discovered within the Milky Way rather than the two that were previously confirmed. "Some of the stars and star clusters you see when you look into space at night are aliens from another galaxy, just not the green-skinned type you find in a Hollywood movie. These 'alien' star clusters that have made their way into our galaxy over the last few billion years," says Terry Bridges, an astronomer at Queen's University in Kingston, Canada. The study (co-authored by Duncan Forbes of Swinburne University of Technology in Australia) has been accepted for publication in the Monthly Notices of the Royal Astronomical Society. Previously, astronomers had suspected that some star clusters, which contain from 100,000 to a million stars each, were foreign to our galaxy, but it was difficult to identify which ones. Using mostly Hubble Space Telescope data, Mr. Bridges and Mr. Forbes examined old star clusters within the Milky Way galaxy. From the research they compiled the largest ever high-quality database to record the age and chemical properties of each of these clusters. "We looked at all the data we could find. 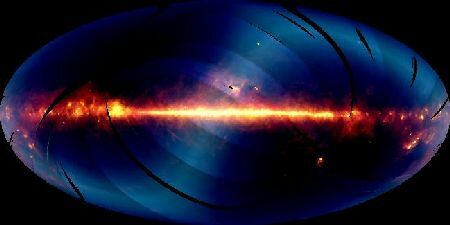 The best data are from the Hubble Telescope because it has the best imaging," Bridges says. "We looked at the ages and the amounts of heavy elements in these clusters, which can be measured from their stars." The researchers' work also suggests that the Milky Way may have swallowed-up more dwarf galaxies than was previously thought. They found that many of the foreign clusters originally existed within dwarf galaxies -- 'mini' galaxies of up to 100 million stars that sit within our larger Milky Way. The study suggests that there are more of these accreted dwarf galaxies in our Milky Way than was thought. I've been considering a hypothesis that might explain why the Inuit (and others) are noticing that the sun is not rising and setting where it has in the past. Some have suggested this is due to a pole shift, but that can't be because Polaris would be in a different place -- as would the constellations. My hypothesis is that the angle of the ecliptic is changing while the Earth's tilt (relative to the galactic plane and constellations) remains fixed. I liken this effect to a gyroscope sitting on a see-saw, where Earth is the gyro, Sol is a heat source at the center of the see-saw, and finally the ecliptic plane is the see-saw itself. To understand my hypothesis consider this analogy. Place a spinning gyroscope on a see-saw that has a heat source (1000W lamp?) located at the center ( i.e. fulcrum point) of the see-saw. As the see-saw moves up or down, the gyro remains upright – much like your upper torso would remain upright if you were sitting on the see-saw. If you tilt the see-saw downward enough -- let's say on the side that the gyro is sitting -- then the upper part of the gyro would receive more heat. If you then move the gyro to the other side of the see-saw without changing the inclination of the see-saw, the lower part of the gyro would receive more heat. I think you see what I'm getting at. This analogy could be used to explain why ice is melting on both poles, and why our seasons are harsher and why there are reports of the sun rising and setting in different locations than in the past. Your thoughts?